House Speaker Nancy Pelosi (D-Calif.) told CBS's "60 Minutes" that the left flank of the House Democratic caucus represented by Rep. Alexandria Ocasio-Cortez (D-N.Y.) is "like five people" in a Sunday interview. Moore made the comments in an August 2015 radio interview with Larry Kudlow, who now serves as the President's top economic adviser. In that interview, Kudlow compared Trump's immigration plans to the worst parts of World War II -- in an apparent reference to the Holocaust -- and said Trump's only real supporters came from "the nativist fringe." Israeli researchers have printed a 3D heart using a patient's own cells, something they say could be used to patch diseased hearts -- and possibly, full transplants. To get some sense of the scale of deflation, consider what a 3-D printed heart transplant would have cost in 1950. Major League Baseball's Opening Day now falls about 2 weeks earlier than it did in the days of the 154-game schedule and when a "western swing" meant a trip to St. Louis and Chicago. 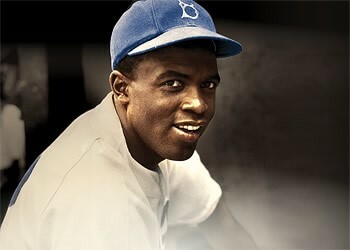 For me it means that baseball now has 2 Opening Days - one on the first day of the regular season and a second on April 15, the anniversary of Jackie Robinson's 1947 debut with the Brooklyn Dodgers. Jackie Robinson Day is wonderfully commemorated each year throughout MLB by having every player and umpire wear Jackie's number 42. What's the tie-in with this column? Robinson's skill and daring as a ballplayer are celebrated in Buddy Johnson's 1949 novelty "Did You See Jackie Robinson Hit That Ball?" Here are two versions, the first by Count Basie and his Orchestra, with the vocal by the great blues shouter, Jimmy Rushing. The second features Natalie Cole with a big band led by John Clayton. Nuclear power and coal don't share many attributes in common other than they're both economically struggling for similar reasons: competition from cheap natural gas and, to a lesser extent, renewables. On top of inaction, trade policies under consideration could make matters even worse for the nuclear industry -- like new restrictions on uranium they use for fuel.